Last week when went away for a couple of nights, I took Bunny Loves to Learn, by Peter Bently, with us to read at bedtime - it is a picture book about a class of animals who are tasked with choosing a dressing up outfit from the box and then performing some research about the costume, making something that represents the time in history that the costume comes from and then presenting back their project to the class. Buster bunny chooses an Egyptian costume and struggles to come up with any ideas. He leaves it to the last minute but in the end the class are REALLY impressed by his presentation at the end of the story because he comes up with a great idea. As an adult, I wasn't convinced that a story about learning in the classroom would be that thrilling but in fact, for Lara, who is in reception, there is a kind of fascination with school and she is particularly interested in the fact that school is something that happens to others, not just her! Lara liked the idea of the project as well and you never know, she might attempt something similar herself having been inspired by the story. We all likes the illustrations by Emma Foster and Deborah Melmon which all feature fun animals. The pictures are an interesting mix of hand-drawn elements as well as photo images of real-life objects such as books, computers and accessories. Lara and Holly both enjoyed looking through the pictures to see which the real objects were. 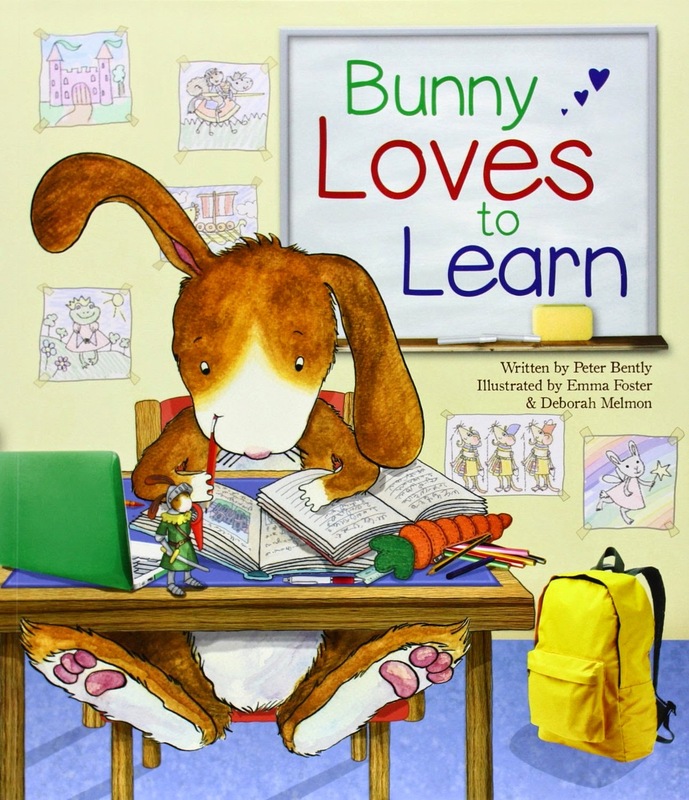 The Bunny Loves range is available in paperback and also available as a Read-Along eBook and is available on iBooks, NOOK and Kobo. Find out more through the paragon books social channels on twitter and facebook.